But their real mission was simply to show off their abilities so far from home and prove that such small missions - the total MarCO program only cost $18.5 million - could succeed in deep space. 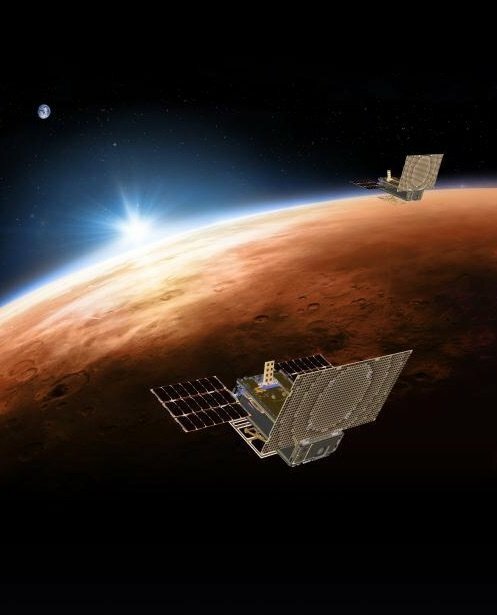 The craft were near Mars when Insight made its descent onto the Red Planet, providing backup observation and connectivity. They performed better than anyone could have expected, but we may never hear from them again. "This mission was always about pushing the limits of miniaturized technology and seeing just how far it could take us", stated Andy Klesh, the mission's chief engineer at the Jet Propulsion Lab. WALL-E is now over 1.6 million kilometres away from Mars and EVE has ventured even further - 3.2 million kilometres from the Red Planet. Based on trajectory calculations, WALL-E is now more than 1.6 million km past Mars. The mission team has several theories for why they have not been able to contact the pair. Both of the machines will begin heading back towards the Sun in a few months, at which point NASA will once again attempt to wake them up, but whether they'll be up for a chat is anyone's guess. They are in orbit around the sun and the farther they are, the more hard it would be to contact them. "On top of that, the CubeSats" batteries may be long dead and fail to recharge by the time they are bathed in full sunlight once more. "We've put a stake in the ground", he said. The mission could foretell a future of spacecraft bringing more CubeSats with them in the future.